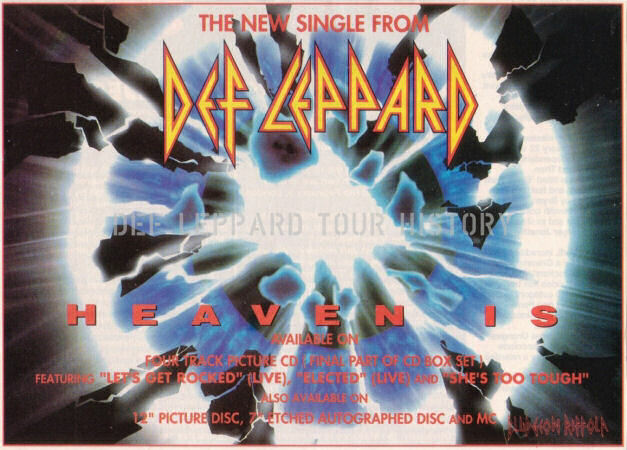 Def Leppard's classic single Heaven Is hit Number 13 in the UK singles chart 25 years ago on this day in 1993. 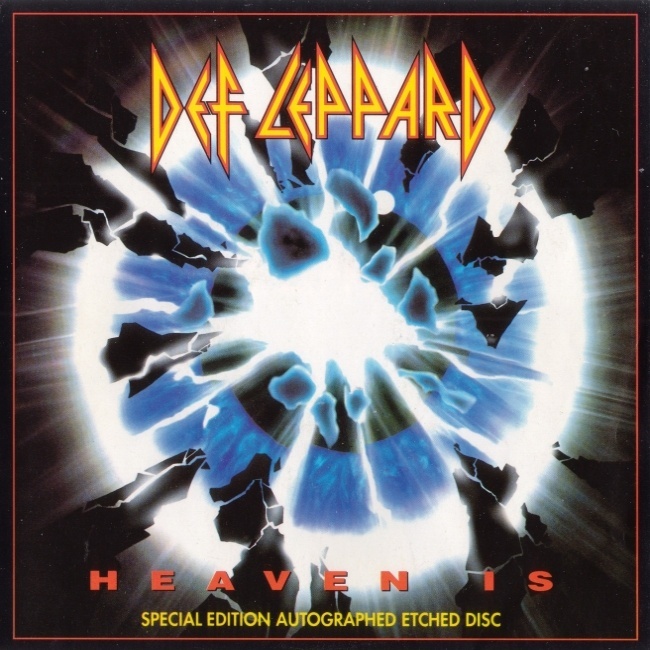 The fourth UK single to be taken from the 'Adrenalize' album which had been released in January 1993. The band performed the song on UK TV shows Going Live and 'Top Of The Pops' which helped its chart position. The single entered the chart at Number 19 and moved up to its peak of 13 on 6th February 1993. It would spend a further week in the Top 40 at 29 before falling off the chart. It spent a total of 5 weeks on the chart. The fourth of four Top 20 singles from the album in the UK. Whitney Houston was at Number One on this day with her single 'I Will Always Love You'. Fellow rockers Extreme and Bon Jovi were also in the Top 40 in this week with 'Tragic Comic' (15) and 'Bed Of Roses' (16). 04 - Snap! Featuring Niki Harris - Exterminate! "It had been around for years. Parts of it had been taken from ‘Armageddon It’. We gave it a new treatment and it worked nicely for ‘Adrenalize’." "The backing vocals on the chorus made it sound like the Beach Boys. And it was the first time we’d ever gone that far. It was more Queen than Queen. Using backing vocals to sing an entire verse. The guitars were blaring out. But you could still hear the melody. Top stuff." "In your hands, you have the 4th Def track from Adrenalize: 'Heaven Is' - another view about that age old problem of perfect women. Backing this track is another from the obscure Elliott collection of songs: 'She's Too Tough'. The title speaks for itself!" "We've thrown in 2 more live tracks: Our version of the Alice Cooper (we are not worthy) song 'Elected', recorded with Steve in Tilburg, Holland in 1987 and 'Let's Get Rocked' from our May '92 European tour - city of Bonn, Germany to be precise. The difference in the feel of the two tracks seems greater than the 5 year difference in recording, but, what the heck..."
"Purely a pop song. Us sounding like the Beach Boys. Hate the video."